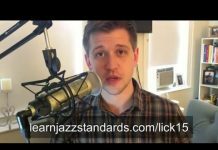 The ii7b5-V7alt-i7 is an important chord progression in jazz music, and any music for that matter. 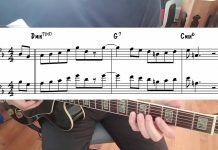 Thousands of tunes utilize this set of chord changes, and so being able to improvise on them is a must! It can represent a tune in a minor key such as Yesterdays, or be used in relationship to a major key such as in Just Friends. 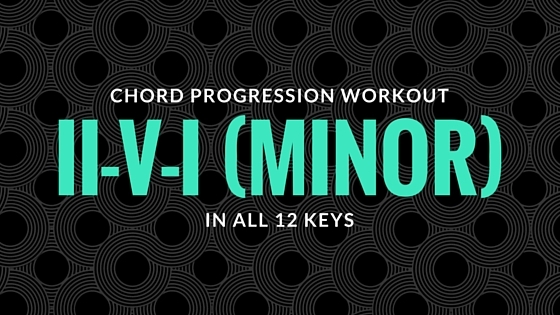 This play-along we have provided for you, takes the ii7b5-V7alt-i7 progression through all 12 keys. Practicing in all 12 keys is an incredible way to master anything you are working on. It forces you to know your instrument better, use your ears more, and translate things you know in comfortable keys to difficult ones. Each key is played 3X each, and cycles through the Circle of 4ths. If you are not familiar with the Circle of 4ths, it is simply changing keys in intervals of 4ths(Ex. C to F is a perfect 4th interval away). So cycling through the Circle of 4ths would be: C-F-Bb-Eb-Ab-Db-Gb-B-E-A-D-G. Count em’! That’s all 12! 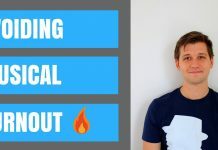 Why do we practice a ii7b5-V7-i7 progression in 4ths? Well, its just one way to organize the exercise, but also think about it…the chords move in 4ths!(Ex. Dm7b5-G7alt-Cm7) It makes sense! But what is a ii7b5-V7alt-i7 progression!? The numbers represent the tones in the key we are in. If we are in the key of C minor, our ii7b5 would be D. You simply just walk yourself up the minorscale. What would be the V7alt? If you go up the scale to the 5th degree, it is G.
The lower case numbers means it is a minor chord, in this case either a half-diminished chord(m7b5) or a minor 7 chord. 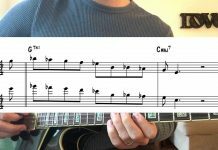 The V7alt means it is a dominant 7th chord, but has at least one altered note(ex. #9, b9, #5). So what is a ii7b5-V7alt-i7 in C minor? Dm7b5-G7alt-Cm7.